Pauillac, Chateau Lynch Bages 2015 5. Cru is a blend of 70% Cabernet Sauvignon, 24% Merlot, 4% Cabernet Franc and 2% Petit Verdot that was picked from 23 September until 2 October, matured in 75% new oak. 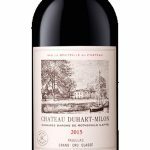 There is an overwhelming sense of purity on the nose: perfumed, almost floral blackberry, wild strawberry, graphite and cedar scents, unmistakably Pauillac in style. The palate is medium-bodied with fine-grain tannin, a keen citrus thread that impart tension and ample freshness. Tasting this as the first wine of the day, it instantly refreshes the mouth and leaves it tingling with energy after it has departed. This is an excellent, top-grade Lynch Bages that deserves 8-10 years in bottle and then will offer three decade of pleasure, maybe more. Drink 2025-2060. Very classic style Lynch with pretty ripe fruit and tannin balanced. Full body, firm and chewy tannins yet polished and refined. Alcohol and fruit balance are lower than other top years and give this wine freshness and energy. 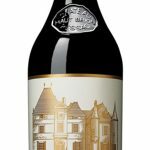 Pauillac, Chateau Lynch Bages 2015 5. Cru is a blend of 70% Cabernet Sauvignon, 24% Merlot, 4% Cabernet Franc and 2% Petit Verdot. Picked from 23 September until 2 October, matured in 75% new oak. There is an overwhelming sense of purity on the nose. Perfumed, almost floral blackberry, wild strawberry, graphite and cedar scents, unmistakably Pauillac in style. The palate is medium-bodied with fine-grain tannin, a keen citrus thread that impart tension and ample freshness. Tasting this as the first wine of the day, it instantly refreshes the mouth and leaves it tingling with energy after it has departed. This is an excellent, top-grade Lynch Bages that deserves 8-10 years in bottle and then will offer three decade of pleasure, maybe more. Drink 2025-2060.